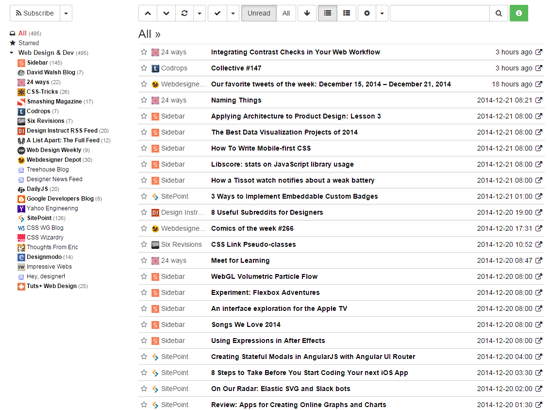 After restarting my RSS subscriptions, I’ve been on a constant lookout for good RSS readers. There’s an overwhelming amount of them out there, an aftermath of a race to fill the void Google Reader left when it was shut down. Here’s a review of the 10 best free online RSS readers I’ve come across so far. 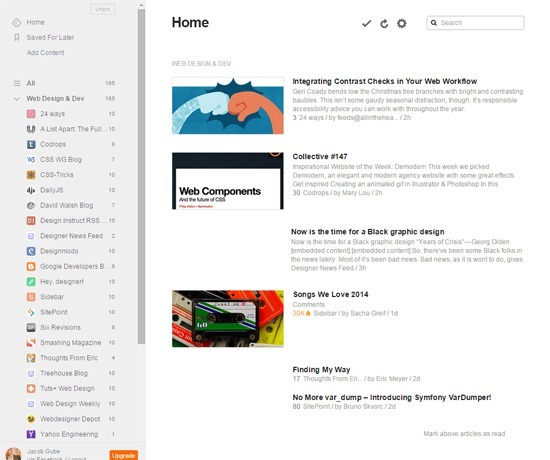 Digg Reader is a free online RSS reader that has a clean user interface and all the features you need for reading and managing your RSS feeds. This RSS reader integrates with other web services such as Instapaper so that you can bookmark posts that you want to read later. 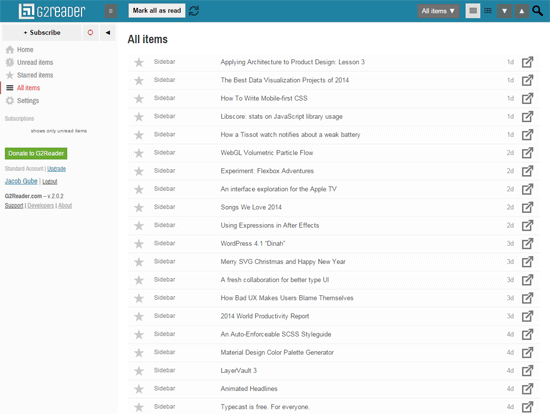 Feedreader Online is a simple and free RSS reader. It has two types of viewing modes, a feature called Starred Items for saving RSS feed items, and a filter for displaying unread items. In my opinion, these are truly the only features you need for a good RSS reading experience. 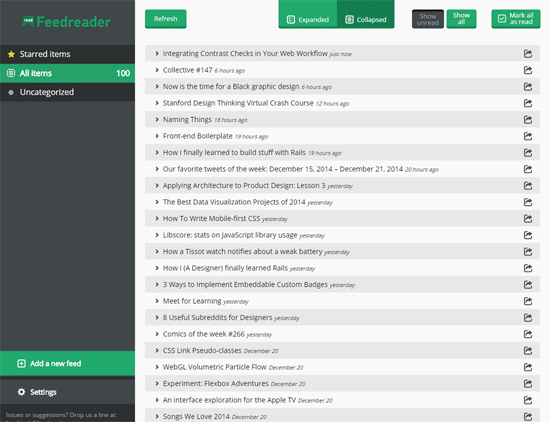 CommaFeed is a free RSS reader inspired by the now-defunct Google Reader. This RSS reader is open source; you can download its code and host it on your own server. 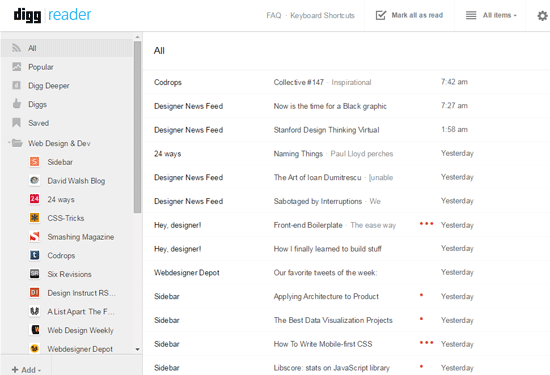 FlowReader is what you’d get if you combined RSS and social media. 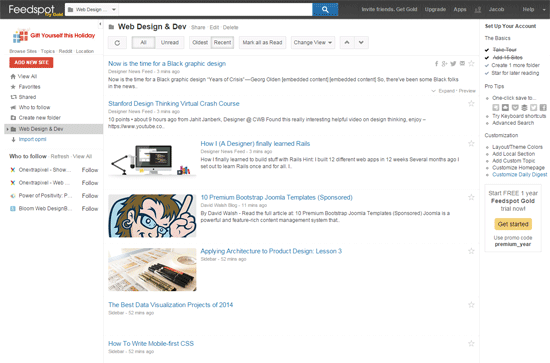 It’s a great option for people who want to see all their content sources in one place. 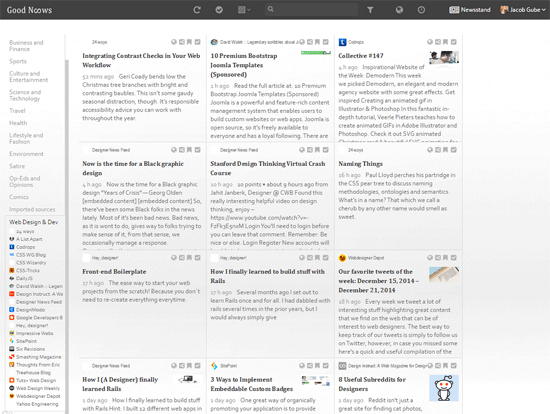 Feedly is an online RSS reader with a clutter-free user interface. It has an Add Content feature which aids you in quickly finding new content sources to subscribe to. Though Feedly is free to use as-is, it does have a paid subscription plan that costs $5 a month. The paid plan unlocks some more features such as integration with web apps like Evernote and Dropbox. 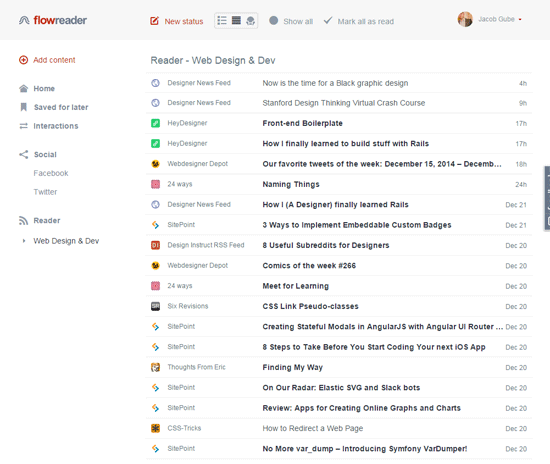 Inoreader is a feature-rich RSS reader that has a ton of configurable options. For example, it lets you craft custom rules that will perform actions such as “Send to email” or “Send to Instapaper”. It has four view modes and four UI themes. Beyond Inoreader’s free subscription plan, it has paid subscription plans that start at $2.99 a month. 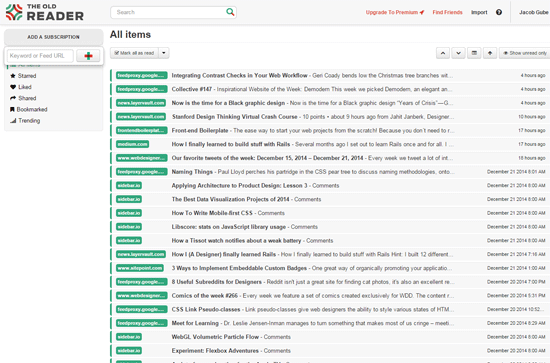 Feedspot is a free RSS reader with an integrated search feature that allows you to search your content sources. It can recommend sites to subscribe to based on your interests. Feedspot has a paid subscription plan that costs $24 a year, and it gives you an advertisement-free experience. The Old Reader has all the features you expect from a good RSS reader: Keyboard shortcuts, various viewing modes, all that good stuff. One thing that makes it different is it’s also a social network: You can connect with other users and share content with each other. The Old Reader is free for up to 100 subscriptions, then you’ll have to upgrade to a premium subscription plan that costs $5 a month. G2Reader is another RSS reader that has the essentials. G2Reader is free only up to 100 subscriptions. It will cost $29 a year beyond that. Good News aggregates all your content sources in one place. 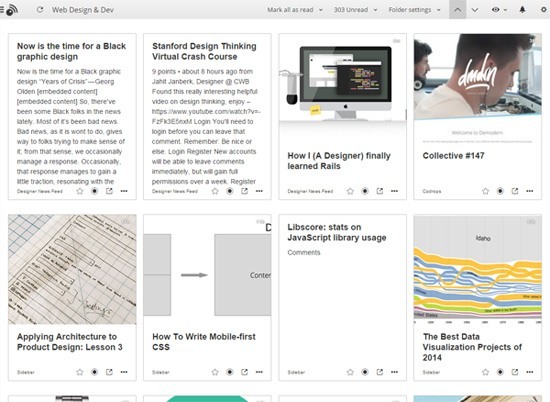 This means you can read your RSS, favorite sites, and social media in a centralized way. It has a total of 12 alternative viewing modes for your convenience. The RSS reader I’m currently using is Digg Reader. Digg Reader has a clean user interface, is lightning fast, and works well on laptops/desktops (which is where I read my RSS). But I constantly review my options to make sure it’s still the right tool for the job. Feedreader Online is another option that matches my needs. Some people need a more comprehensive web-content-reading experience. My two suggestions for all-in-one content readers are FlowReader and Good News. If you’re concerned about privacy, you can host your own RSS reader using the free and open-source CommaFeed.